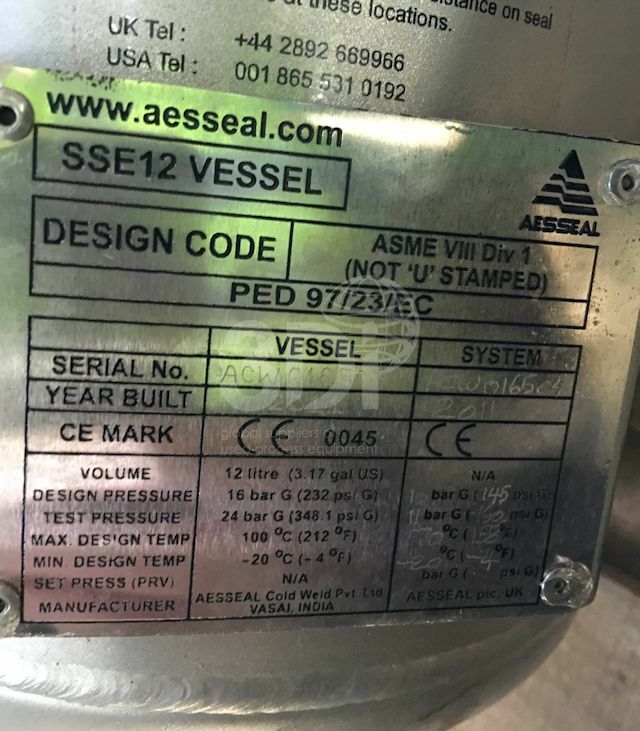 Used Seal Support System, manufactured by AESSEAL plc, 2011. SP Range pressure system, model SSE12-P2. Vessel volume: 12 litres (3.2gal). 304 stainless steel construction. Design code: ASME V111 Div 1. Design pressure 16 bar g. Max design temperature 100degC. 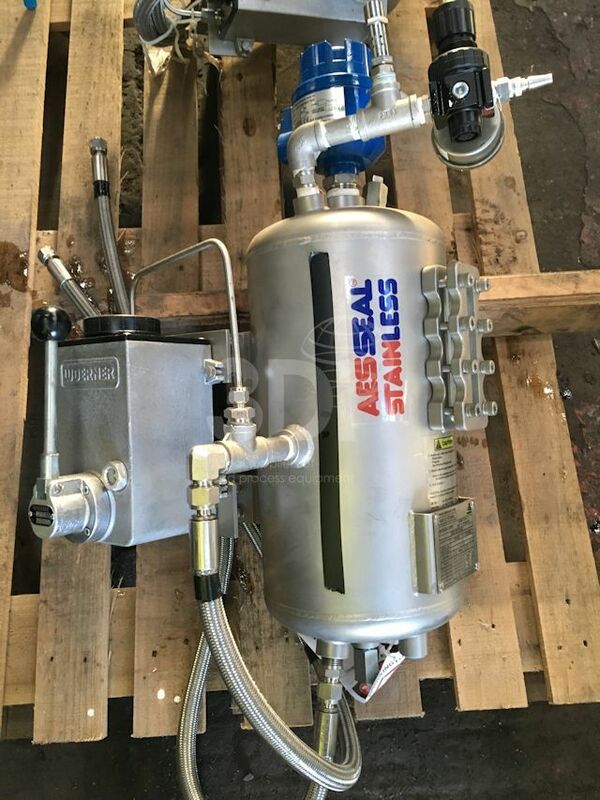 Comes with Woerner piston pump, pressure regulator and stainless steel braided flexible hose.